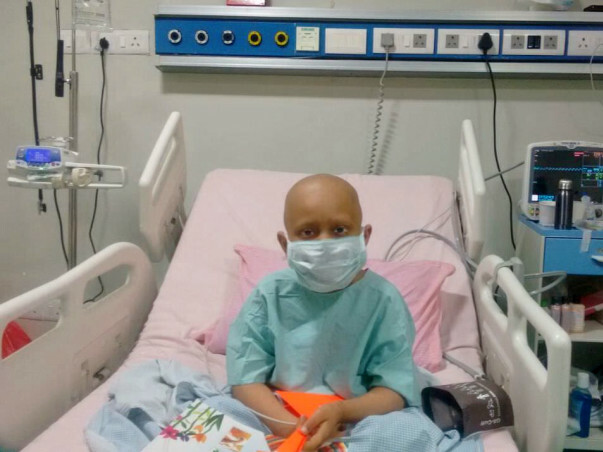 6-year-old Shajieth, son of Sentil Kumar, hailing from Salem in Tamil Nadu, was diagnosed to have B-Acute Lymphoblastic Leukemia, a type of blood cancer in 2014. The family brought the child to Sri Ramachandra Medical College in Chennai for treatment. Chemotherapy was initiated and despite many hurdles, Shajieth was due to complete his total treatment of 3 years in Oct 2017. Despite undergoing numerous cycles of chemotherapy Shajieth's condition has failed to recover. His father has been paying for his bills for the last 3 years and had even started a campaign on milaap for which he utlized the funds for Shajieth's treatment which had costed him almost 15 lakh Rs. 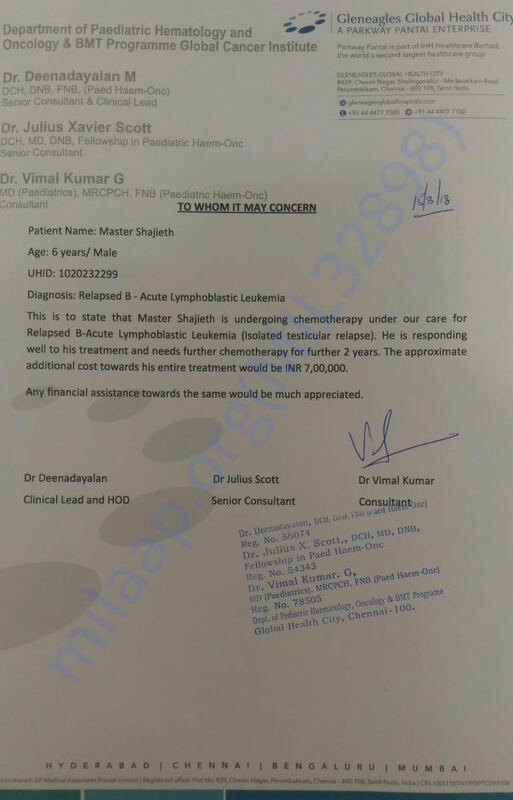 Now since Shajieth's cancer has relapsed Senthil requires another 7 lakh Rs in order to give his son the additional treatment he requires. His father having already supported his treatment for the last three years has exhausted all his funds and is unable to meet the financial cost towards further treatment. Since this disease is life-threatening and treatment needs to be started as soon as possible, they wish to seek any financial aid towards Shajieth’s treatment. Your contribution can save Shajieth's life and give him the treatment he deserves. Praying for speedy recovery for this kid.